The Ex Awards is the world’s largest recognition program for event marketing professionals, and the only competition judged entirely by brand marketers. Each year, the winners are announced live onstage at an evening gala during the Experiential Marketing Summit. Winners are also profiled online and in a special issue of Event Marketer. Check out the 2018 winners here. 2019 winners to be announced live at the Ex Awards gala in Las Vegas on May 14. Want more info? Sign up to be notified about awards announcements here or contact Nicole Cimo. The Experience Design & Technology Awards is the world’s only marketing awards program recognizing the best use of design and technology in live experiences. Call for entries opens each summer, and the winners are announced in November, profiled online and featured in a special issue of Event Marketer. Check out the 2018 winners here. Want more info? Sign up to be notified about awards announcements here or contact Nicole Cimo. 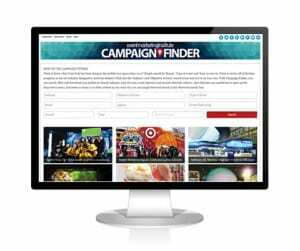 Campaign Finder is the world’s first experiential marketing case study search engine. Get unlimited access to a growing database of more than 1,000 award winners and best-in-class case studies for your brainstorming session, CMO pitch, team meeting and more. Search, filter and download case studies by brand, category of business, type of event, event objective and other key criteria.